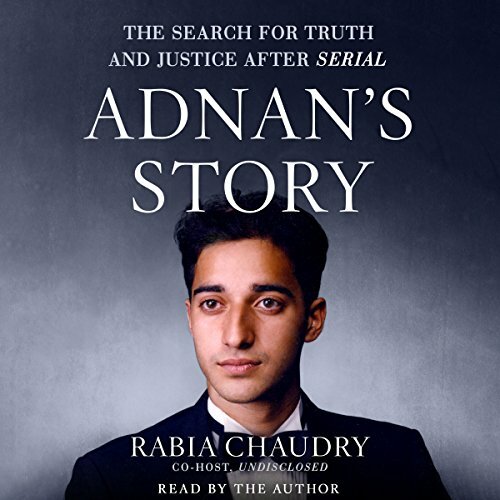 Rabia Chaudry is the public advocate of Adnan Syed, the wrongfully convicted man at the center of the podcast "Serial", with 500 million downloads, and her own podcast "Undisclosed", with nearly 80 million downloads. She is a wife, mother, attorney, and currently a Jennings Randolph Senior Fellow at U.S. Institute of Peace, where she researches the intersection of religion and violent extremism. Her regions of interest are Pakistan and Sri Lanka. She comes to USIP from the New America Foundation, where she was an International Security Fellow, developing and leading a CVE community project in partnership with Google, Facebook and Twitter. She is the Founder of the Safe Nation Collaborative, a CVE training firm. Her work NAF focused on the empowerment of American Muslim communities in social media advocacy. Her firm Safe Nation Collaborative works on two fronts: providing CVE and cultural competency training to law enforcement, correctional, and homeland security officials, and providing national security and CVE training to Muslim communities and institutions. To date, Safe Nation has worked with the US Department of Homeland Security, US Department of Justice, the National Counter Terror Center, the Maryland State Police and Correctional Officer Training Commission, and the DC Metro Police Department. As a senior CVE analyst and consultant, she has worked on both domestic and international CVE projects with government and nonprofit sectors. Rabia is a 2016 Aspen Ideas Scholar, Fellow of the Truman National Security Project, a Fellow of the American Muslim Civic Leadership Institute, and a Fellow of the Shalom Hartman Institute. Rabia is a frequent public speaker on CVE, civil rights, criminal justice, new media, faith & gender. Her writing appears in dozens of outlets and her book, "Adnan's Story" will be published in August, 2016. She is owned by the cutest cat in the world, Mr. Beans, and can cook a five course meal in under ninety minutes. When she grows up she wants to be a renowned author of many books, a fearless traveler, and the mother of the first female American Muslim President of the United States. She's pretty sure it's all going to happen.